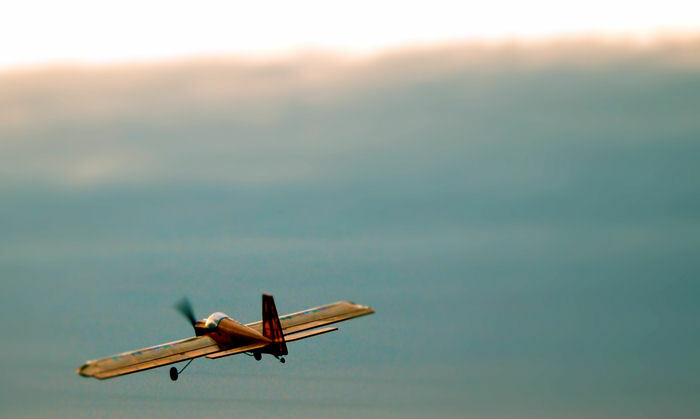 A shot of my good friend Jeppe’s RC plane. Thought it funny how much it looks like the ending of a movie where somebody flies off into the sunset. Great capture, the focus is spot on. I really does conjure up stories in my head to go with it.